Devon Schuler is an airplane designer. He spends a great deal of time thinking about ways to improve flying and he loves sketching airplane designs. There is just one problem: Devon is only 9 and no one is paying him for his ideas. Since when has a lack of pay stopped anyone with a passion from chasing his or her dreams? Devon sketched out his ideas for an Airbus 390, found the address himself, and with a stamp from Mom, mailed it to Airbus’ headquarters in France. Devon, Thanks a lot for your very nice drawing and congratulations on your great A390 idea. I wish you and your family a very nice Christmas and holiday period. I hope this A380 model will give you some further ideas. Now, Ms. Creissels didn’t do this for free press. Nope. She did it to be nice. The only reason I know about this is that Devon’s mother and I worked together for many years and she posted this picture on Facebook. Nice is good. I like nice. 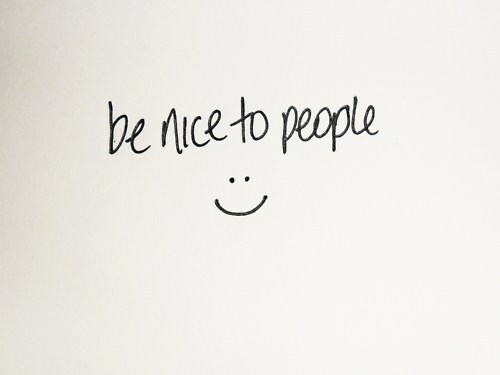 I’m a big believer in being nice, but is that all there is? Ms. Creissels took the time to write Devon a handwritten note and ship him a model airplane. She didn’t have to do this, but you can bet Devon, his family, and all their friends now have positive feelings about Airbus. As a small business owner, it’s not a matter of just being nice to your clients when they are in your office. Nor is it about just paying attention to potential clients. (After all, Devon is a few years away from being able to place an order for a new fleet of Airbus planes.) It’s about considering the small ways you can make others happy. When you’re nice, you’re happy. And when you’re happy, you’re easier to work with. When you’re easier to work with, your employees are happier. And when you’re employees are happier, they work harder. And when your employees work harder, your business does better. All that, from writing a quick note to a 9-year-old boy. Not a bad use of time, after all.